Established in the year 2008, we, Precision Engineering Company are one of the recognized manufacturers, suppliers and exporters as well as service provider of a wide range of conveyor components and spare parts. In addition to this, we undertake fabrication of all types as per the client's specific requirements. These are meeting the requirements of engineering, manufacturing and construction industries. Our strong grip in the market is the result of a client conscious approach followed by us, which enables us to offer our wide range of products. Advanced infrastructure combined with team of professionals enable us in gaining credibility in the market and reach towards the heights of success. 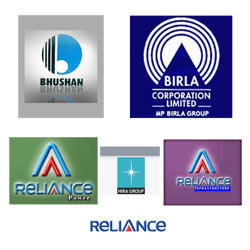 Moreover, our ethical business practices and transparent business policies has garnered us a reputed clientele such as Birla Corporation Ltd, Bhushan Steel Ltd, Hira Group of Companies, Numerous Sponge Iron Plants of Orissa, Chhattisgarh & West Bengal, Reliance Infrastructure Ltd, Reliance Energy, Vizag Thermal Power Plant, Reliance Power Ltd, Transtonnel-Afcons. Led under the dynamic leadership of our mentor Mr. Sashikant Sharma, our company is reaching towards the heights of success. With his sharp insight and rich business acumen, we have been able to meet the clients' specific requirements within a stipulated time frame. We strongly look forward to change the shape of conveyor spares industry in the coming years and precise rollers will be places second to none. For achieving our mission our whole workforce are working in coordination with each other gradually we are walking towards our set goal. We are engaged in manufacturing and supplying a wide range of conveyor components and spare parts. These are made using quality raw material such as steel, iron and other metal alloys. Our range includes Idlers, Rollers, Shafts, Pinions, Jack Prop and Mechanical Spares. In addition, we offer Scaffolding Clamps, Engineering Spares, Parts of Rope-Way and Conveyer Spares. We also undertake fabrication of all types as per the clients'' specific requirements. We are backed by a team of diligent and efficient engineers who work in coordination to attain utmost level of client satisfaction. Our experts are well versed with advanced technology used in producing quality conveyor components and spare parts. The team includes engineers, technicians, quality controllers and sales & marketing personnel. Our company endeavors to attain for maximum client satisfaction. For this, we make sire to bestow supreme importance to our quality range of conveyor components and spare parts. Our well equipped infrastructure along with an experienced team of expert’s helps us in supporting our efforts. Owing to our quality products and client centric attitude, we have been able to work for reputed clients across India.